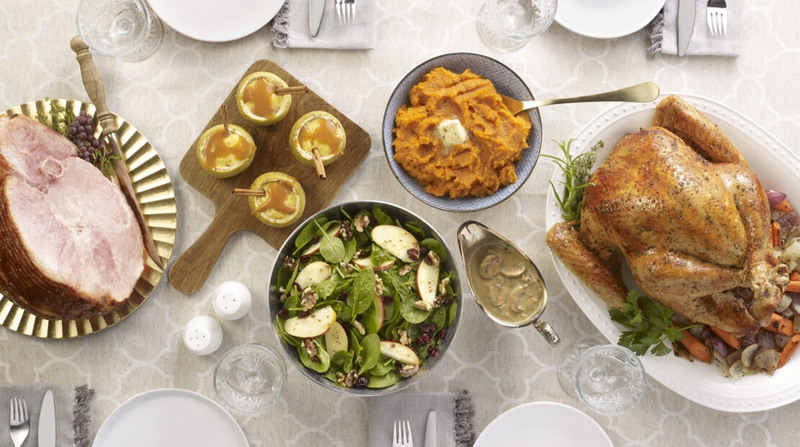 With the holiday season in full swing, turkey and ham processors are executing plans for their annual ramp up in production and are blasting through Thanksgiving with all eyes on finishing strong at Christmas. Hormel Foods Corp. and its subsidiary Jennie-O Turkey Store will produce hams and turkeys throughout the year and adjust as Thanksgiving and December holidays approach to meet demand. Butterball L.L.C. has developed its processes and added tooling to its plants to handle the holiday season on a schedule. When the increase in production starts depends on which items consumers demand during the peak season. American consumers will eat approximately 68 million turkeys for Thanksgiving and Christmas dinners alone, according to the American Farm Bureau Federation. And while Thanksgiving sees a bulk of those turkeys, with 46 million and 88% of Americans saying they eat turkey at Thanksgiving, Christmas gets its share with 22 million turkeys eaten. As Thanksgiving approaches, production at Jennie-O Turkey Store begins to shift. Except for added weekend shifts during the busiest times right before Thanksgiving, the production schedule has remained fairly consistent throughout the years, Ms. Carr said. Hormel focuses on ham production and doesn’t change production for the holidays. Although the orders increase during the holiday season, Jennie-O typically keeps any additional labor and staff needed in house by making adjustments within the plant. The company uses the same process to screen its suppliers and doesn’t bring on any additional suppliers to meet holiday demands. It’s the same for transportation and storage. Jennie-O offers consumers multiple turkey options to both replace or go along with the center of the table whole, fresh turkey. Whether additions or alternatives, turkey is still the main attraction. However, fresh turkey fills production capacity during the holidays, so frozen items are produced around fresh demand. “Jennie-O Turkey Breast Roast, located in the deli grab and go hot case, is often used to supplement a whole turkey,” Ms. Carr said. “For smaller gatherings, this product may also replace a whole turkey. For convenience, consumers are also shifting to Jennie-O’s oven-ready whole turkeys, she added. The product is pre-seasoned and ready to go into the oven from the freezer in minutes without the need to thaw. Hormel agrees turkey is the main protein during Thanksgiving, but not throughout the season. Hormel also noticed recent changes in ham choices for Christmas in particular.